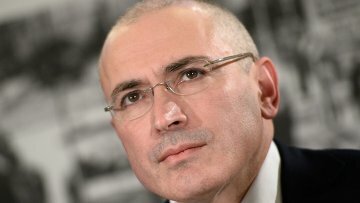 Russian bailiffs seize €10,000 granted to Khodorkovsky by ECHR | Russian Legal Information Agency (RAPSI). MOSCOW, June 7 (RAPSI) – Compensation for moral damages granted by the European Court of Human Rights (ECHR) to Mikhail Khodorkovsky from Russian budget has been seized by Russian bailiffs and used for repayment of his debt to the budget, RIA Novosti reported on Tuesday. On June 3 a sum equivalent to €10,000 was transferred by the Ministry of Justice to the deposit account of the Directorate for the implementation of special enforcement proceedings of Russian Federal Bailiff Service. According to Service’s press-release, this sum has been used to repay the debt to Russian budget within the framework of the enforcement proceedings. Moscow’s Meshchansky District Court held in 2005 to collect 17 billion rubles ($550 million) from Khodorkovsky and his business partner Platon Lebedev. Khodorkovsky filed an application with the European Court of Human Rights (ECHR) asserting his right to the protection of property based on having been ordered to reimburse Yukos' tax arrears to the State. The ECHR agreed on this point in July 2013. In May 2011 the ECHR ruled Russia to pay €10,000 to Khodorkovsky as a compensation for moral damages. The compensation was granted regarding violation of the rights of defendants.